The battle for the heart and soul, and of course the presidential candidacy of Sierra Leone’s main opposition party – the SLPP has begun, with each aspirant now actively campaigning in the diaspora. So far, there are three hot favourites: The former head of state of Sierra Leone and 2012 SLPP presidential candidate – Julius Maada Bio, the former UN special adviser to the UN chief Ban Ki Moon – Kandeh Yumkella, and Alie kabba. In three weeks the Kandeh Yumkella campaign train will arrive in various cities of the UK, where Kandeh will present his aspirations to party members. But last Saturday, it was Maada Bio who stole the show in London, where he seemed to have gained the endorsement of large sections of the party members who attended the town hall meeting. SLPP heavyweight, Women’s Rights Campaigner and former Allie Bangura co-petitioner, Madam Navo Kaikai (Commonly called Mama Navo) has declared in London over the weekend that Rtd. Brig. Julius Maada Bio will be the next President of Sierra Leone. Declaring her support for Rtd. Brig. Julius Maada Bio as the next President at a Town Hall event on Saturday 27th June, the outspoken Mama Navo narrated her past political encounters with Rtd. Brig. Julius Maada Bio. “Before this time, I had always been a long term critic of Julius Maada Bio. In the 2011 flagbearership election I supported Dr. Kadie Sesay and not Julius Maada Bio. In the last Bo Convention I supported Allie Bangura as Chairman and not Maada’s candidate Chief Sumana Kapen. I did not support Maada because I was not convinced about his leadership to lead the party and be our next President” Navo Kaikai told the audience. 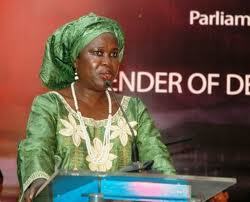 Mama Navo informed the audience that it was even Maada Bio who endorsed Hon. Bernadette Lahai (Photo) as the Parliamentary Minority Leader of SLPP. Even in his hometown of Bonthe, Mama Navo added that despite all the male contenders for the District Council Chairmanship, it was Rtd. Brig. Julius Maada Bio who endorsed and supported Rita Ngadie Savage who was elected as the District Council Chairperson in Bonthe. To the amazement of the audience, the SLPP Heavyweight also said that she was delighted that Rtd. Brig. Julius Maada Bio has got married. Madam Navo Kaikai said she has always believed in the values of marriage because to lead a nation we need someone with family values. Navo Kaikai also told the audience that even when she never supported Rtd. Brig. Julius Maada Bio, anytime she went to campaign to her people the love and support the people had and continue to have for Rtd. Brig. Julius Maada Bio cannot be compared to any politician in SLPP. She confidently said Julius Maada Bio is the most popular candidate and with him the flagbearership is over. 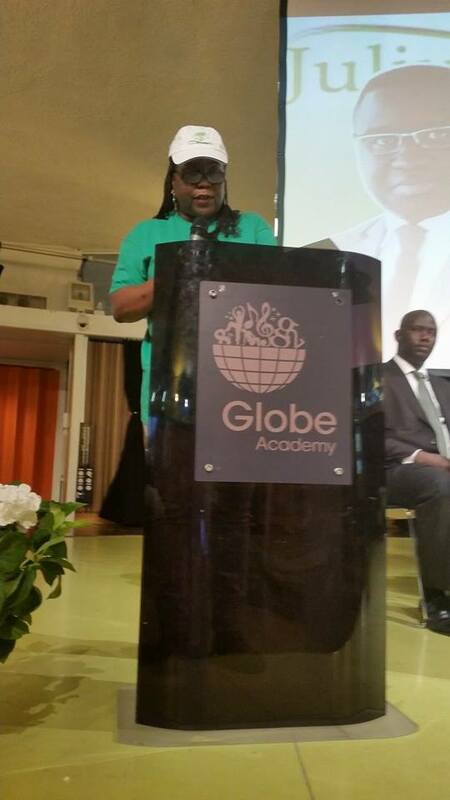 The audience loved that and shouted the new slogan “Salone for beteh…Paopa”. 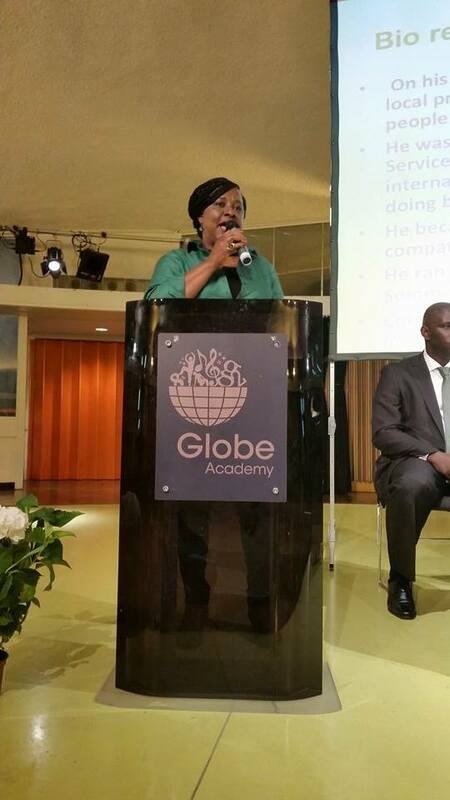 Also, in a very eloquent manner, Madam Kaikai narrated a story depicting the popularity of Maada Bio. In her story she told the audience that she was travelling from Kailahun to Kenema with her nephew Hon. Maya kaikai who is the Resident Minister Eastern Province. She said when they got to Siama Junction, Minister Maya Kaikai joked with one of the traders that with all the roads APC government is constructing they should vote for APC in the next election. Madam Navo Kaikai said the trader confidently told the Resident Minister, Maya Kaikai, that even if APC government used gold and diamonds to construct the road to Kailahun the people will NOT vote for APC in the next election, rather they WILL vote for Maada Bio in 2017/18. Madam Kaikai also told the audience that those who argue that Maada Bio cannot win a national election are completely wrong. Reacting after the event, the delighted Chairman of the JMB Support Group, UK, Mr. Tamba Lamina, said that the declaration of Madam Navo Kaikai should send a clear message to everyone that Julius is always willing to work with every SLPP member who has the party at heart to return the SLPP to governance. “It is an example of a strong leadership of a man who can embrace his strongest critic in the interest of unifying the party and bringing change to the country.” said Tamba Lamina. As part of showcasing Rtd. Brig. Julius Maada Bio’s credentials on women empowerment, a native of Kono District, Mrs Agnes Dugba Macauley, also delivered a powerful speech on the challenges of women in Sierra Leone and why Rtd. Brig. Julius Maada Bio will be the best candidate to address these challenges as the next President. In his compelling Speech on the challenges women face, Madam Macauley highlighted the names of women who played symbolic roles in national development such as Adelaide Casely-Hayford, Constance Cummings-John, Frances Wright and others. Sadly, she told the audience about the present challenges of women including political discrimination in which she highlighted the Chieftaincy cases of Madam Kumba Torto of Kono and Madam Sia Bandabilla of Kissi-Kailahun. Mrs Macauley pointed out that Rtd. Brig. Julius Maada Bio understands the plight of women. She said Rtd. Brig. 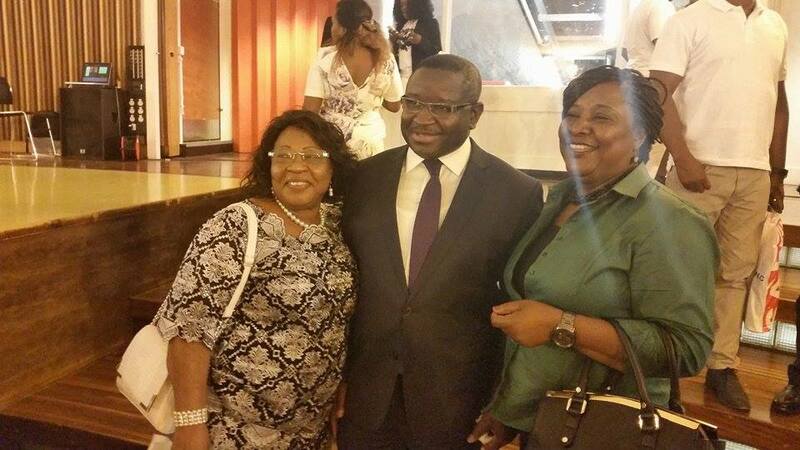 Julius Maada Bio appreciates the qualities of women and their valued contributions to national development. She also said that because Rtd. Brig. Julius Maada Bio believes in women’s empowerment, he appointed Dr. Kadie Sesay in the 2012 elections as his Running Mate; and it is why his Charity Foundation is committed to supporting vulnerable children and women.